My Summer Cottage in Babylon: Tangerine Dream. Brandi's out wheeling around the neighborhood at 9:34pm. ON A BIKE. 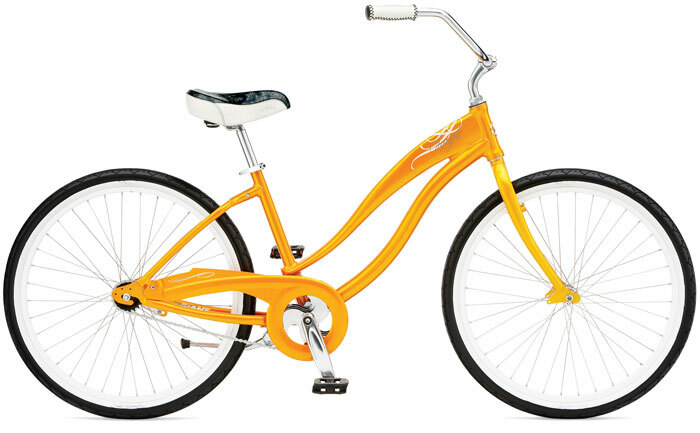 An Orange sculpture of drawn and welded metal, with a black flowered seat, Wide Handlebars with faux leather handgrips, and Whitewall tires. Only with Brandi on it.